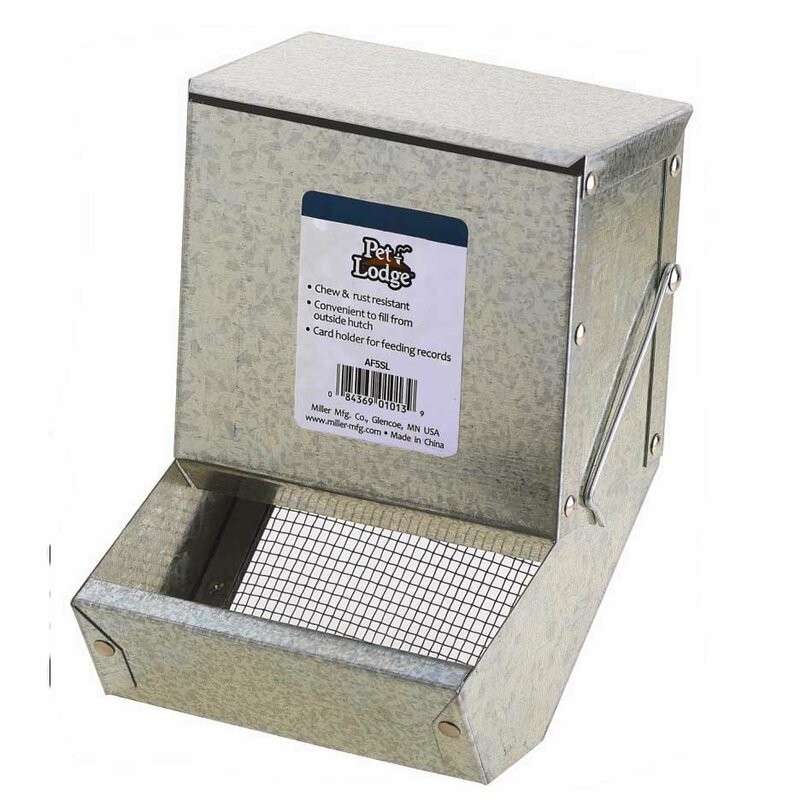 This durable, metal sifter bottom feeder is perfect for feeding your small animal pets. Easy to install to your pet's hutch. Helps to keep food off of the floor and cleaner. Ideaf for use with rabbits or guinea pigs. 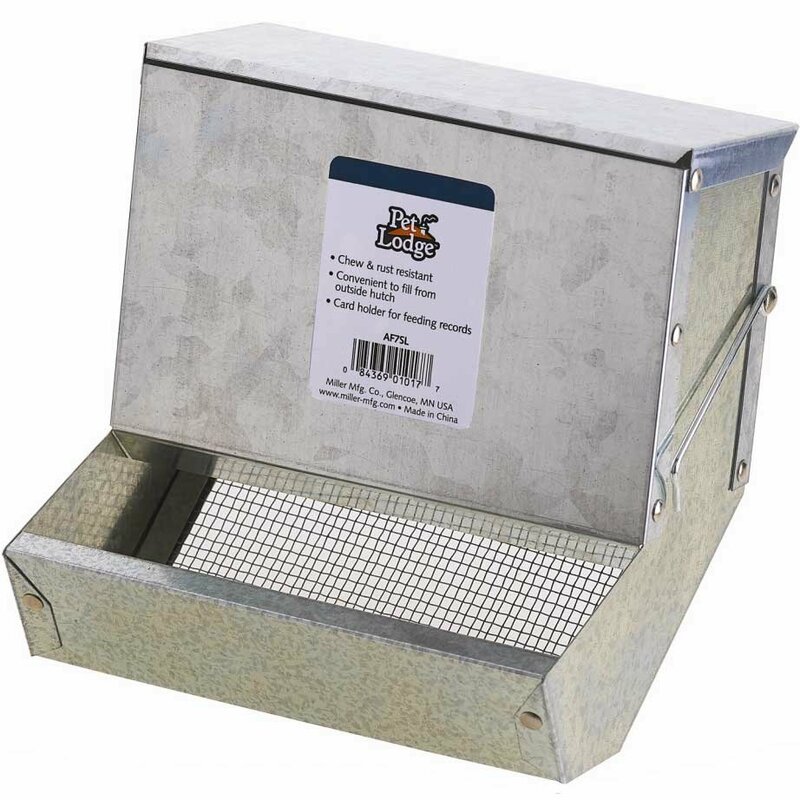 Small Animal Feeder with Sifter Bottom has different options and/or variations, please choose below. The Small Animal Feeder with Sifter Bottom by Miller Mfg. makes feeder your small animal pet easy. 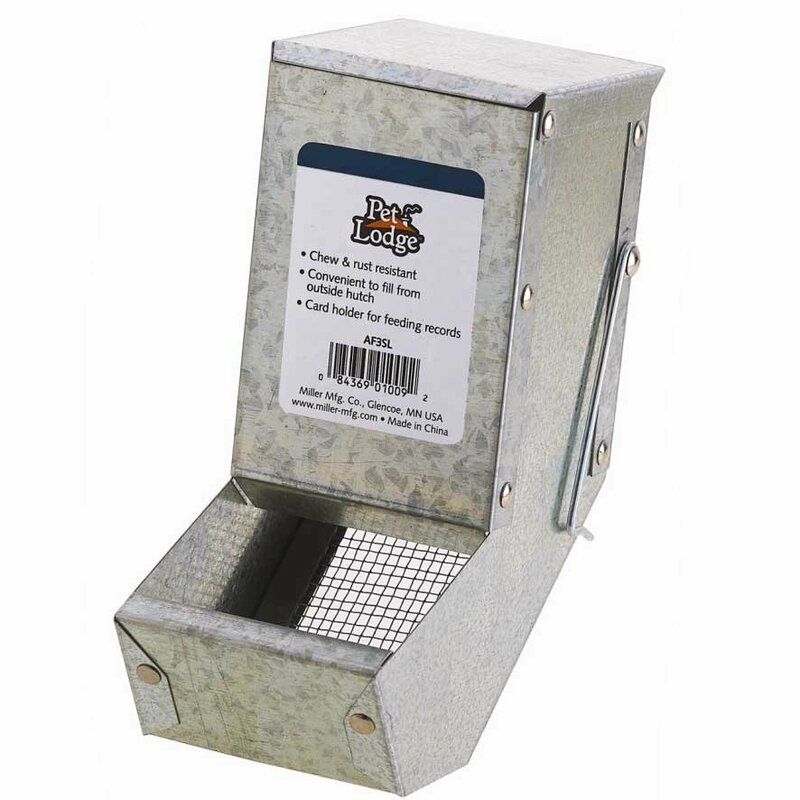 Feeder is made of galvanized steel and easily secures to your pet's hutch with wire hooks. Lid helps to keep your pet's food fresh. Great for rabbits and guinea pigs. Choose 3 in., 5 in., or 7 in. 3 small animal feeder with sifter bottom and lid. Independent wire hooks secure feeder to hutch. 5 small animal feeder with sifter bottom and lid. 7 small animal feeder with sifter bottom and lid.